The Little Cowboy Ranch is as productive as any ranch in the immediate area. An excellent turf provides for a variety of forage with little or no wasteland. The Cowboy Draw and Little Cowboy Draw traverse the ranch form the northwest and west to the east. The ranch is partitioned into one large pasture and one small trap in the vicinity of the pens. The livestock and domestic water is provided by two wells along with a buried pipeline. The well at the pens is equipped with an electric submersible pump. The North Well is equipped with a solar pump. In addition to the permanent water sources there are several large earthen tanks that catch and store rainfall runoff. 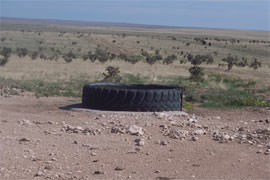 These earthen tanks, when containing water, are utilized by both livestock and wildlife. Some of the tanks when filled to capacity will hold water yearlong. The Rhodes Farm is a noncontiguous tract of land located in Chaves County, east of Hagerman, New Mexico and east of the Pecos River. State Highway 249 (Aberdeen Road) splits the property with a very small portion of native rangeland (10 to 15 acres) located apart from the main portion of the property. The total acreage estimated within the farm is 478.89 surface acres of which approximately 140.1 acres are in cultivation. The Elk Haven Ranch is nestled in the foothills of the Sacramento Mountains between Ruidoso, New Mexico and Tularosa, New Mexico at Bent, New Mexico. Access is good by way of U.S. Highway 70, a four lane highway. The property is comprised of 410 diverse acres that vary from nearly level irrigated pasture land to hill land with draws and canyons. Elevation is approximately 6,000 feet with a mild semiarid climate with plentiful sunshine. 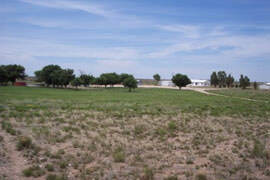 The Toland Ranch is located between Corona, New Mexico and Willard, New Mexico at Cedarvale. Just fifteen minutes from the Cibola National Forest and the Gallinas Mountains. The ranch is comprised of approximately 1,440 deeded acres situated in two non-contiguous tracts. The north tract located north of Highway 42 is comprised of approximately 520 surface acres within a serviceable boundary fence. Livestock water is provided by one serviceable water well equipped with an electric submersible pump. The well depth is approximately 190 feet deep. 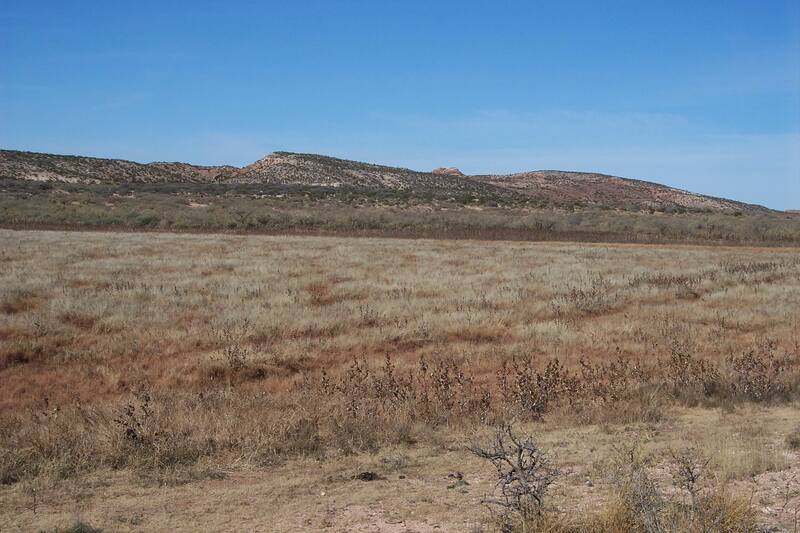 The Anton Chico Ranch is a contiguous tract of native grass rangeland consisting of 3,056 deeded acres located within the Anton Chico Land Grant, Sam Miguel County, New Mexico. 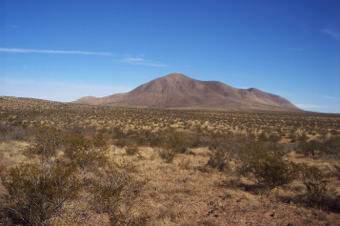 The site location is approximately 13 miles south of the Village of Bernal and the Bernal Store. Bernal is located off I-25 between Santa Fe and Las Vegas, New Mexico. First time offering of this large southeastern New Mexico Ranch that has been under the same family ownership for over 50 years. Located approximately five miles east of Artesia, New Mexico along and on both sides of U.S. Highway 82, the ranch is comprised of 250 deeded acres, 25,600 Ã‚Â± private lease acres (nominal lease fee), 45,260 New Mexico State Lease acres, and 60,818 acres of Federal BLM Lease acres. The grazing capacity is set at 1,600 A.U. 's yearlong by the Bureau of Land Management. The operation is conducted from one headquarters complex and two cow camps. 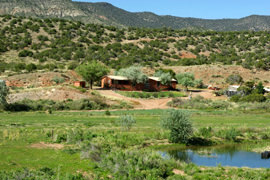 The Six Shooter Ranch is a described as a high desert ranch with diversified forage and terrain. The location is south central New Mexico approximately 15 miles road miles west of Carrizozo, which is the county seat of historic Lincoln County. The Border Ranch is located approximately 10 miles east of Columbus, New Mexico along and on both sides of State Highway 9 in both Luna and Dona Ana Counties. The ranch is partitioned into four pastures, two south of the highway and two north of the highway. 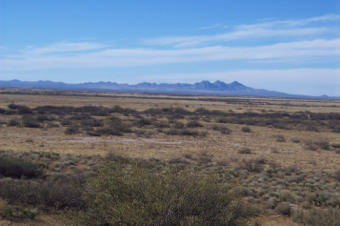 The southern boundary of the ranch is the International Border with Mexico. The fence along the border is a very secure structure that is heavily monitored by the U.S. Border Patrol. Ownership reports little or no illegal border traffic in the area. 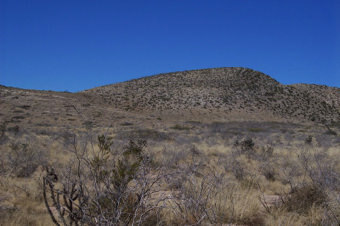 The Mount Riley Ranch is located approximately 30 miles northwest of Santa Teresa, New Mexico along and on both sides of State Highway 9 all within Dona Ana County. The ranch is partitioned into four pastures, two south of the highway and two north of the highway. The southern boundary of the ranch is the International Border with Mexico. The fence along the border is a very secure structure that is heavily monitored by the U.S. Border Patrol. This is a unique opportunity to purchase a part of western history. The residence is located on the main street (U. S. Highway 380) of Lincoln, New Mexico that was the location of several skirmishes during the Lincoln County War from 1878 to 1879. Characters such as John Chisum, John Henry Tunstall, Billy the Kid and Pat Garrett are just to a few of the historic characters that were involved in the fracas. The Lincoln County Courthouse where Billy the Kid made his famous escape is just down the street. History is everywhere in this small community. The Cherry Canyon Ranch tucked under the east face of the Capitan Mountain is southeastern New Mexico is a nicely blocked ranch unit with yearlong livestock grazing and wildlife habitat. The ranch is comprised of 5,400 á ¤eeded acres and 4,629 federal BLM lease acres. 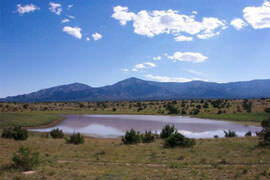 The Poker Lake Ranch is located on the northern slope of the Capitan Mountain in south-central New Mexico all within historic Lincoln County. The ranch is easily accessible from New Mexico Highway 246 approximately fifty minutes from Ruidoso, New Mexico. Ruidoso is a resort community that offers summer and winter recreational opportunities. The Sierra Blanca Regional Airport, which can accommodate most any size of private jet, is forty minutes from the ranch. 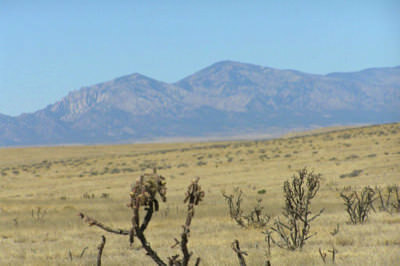 South Brown Lake Ranch is located in southeastern New Mexico in the shadow of the Capitan Mountain with an elevation of approximately 4,400 feet. 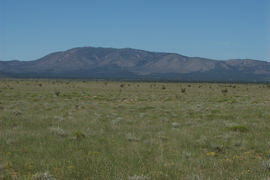 Acreage within the boundary is comprised of 960 Deeded Acres, 4095 Federal BLM Lease Acres and 680 New Mexico State Lease Acres. The ranch is configured into one larger pasture and one small horse trap. The Moats Ranch is located in southeastern New Mexico approximately 30 miles north of Roswell along and on both sides of U.S. Highway 285. The land status of the ranch is diversified to include 12,025 Deeded Acres, 4,080 Federal BLM Acres, 3,240 New Mexico State Lease Acres, 640 Private Lease Acres and 1,280 acres of free use uncontrolled land. 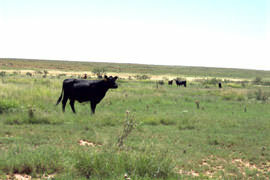 The total acreage supports a grazing capacity of approximately 400 animal units. The Moats Ranch is located in southeastern New Mexico approximately 30 miles north of Roswell along and on both sides of U.S. Highway 285. The Moats Ranch is reasonably priced at $180.00 per deeded acre and $45.00 per lease acre not to include the private lease acres and uncontrolled lands within the boundary of the ranch. 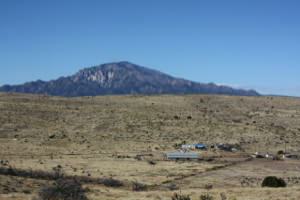 The Bootleg Ridge Ranch is located approximately 25 miles west of Jal, NM on the Eddy-Lea County Line. Access: New Mexico State Highway 128. Acreage: 2,200 á „eeded Acres, 1,640 New Mexico State Lease Acres, 24,736 Federal BLM Lease Acres, 28,576 Total Acres (44.65 Sections). The permitted grazing capacity is 370 animal units yearlong. The East Ranch is located in south central Lincoln County on the north of the Capitan Mountain Range and east of the Jicarrilla Mountains. The ranch is comprised of 21,000 á ¤eeded acres with approximately 4,000 acres of Federal BLM lease land. The estimated grazing capacity is 500 animal units yearlong. 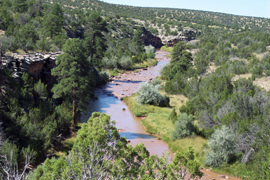 The ranch is operated from a headquarters located in the western portion of the ranch that is accessed by New Mexico State Highway 246 and Lincoln County Road # B001. The headquarters improvements are comprised of one modern residence, barns and cattle working pens. The pens are constructed of steel pipe with the cattle processing tub, squeeze chute and livestock scales under roof cover. There is an additional set of working pens located on the east end of the ranch referred to as the 7/11 pens. All pastures are easily accessible by vehicle. The Buck Springs Ranch is located approximately 30 miles northwest of Roswell, New Mexico along and on both sides of U.S. 285. 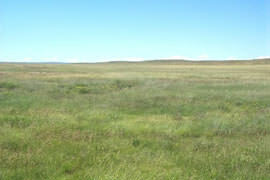 The acreage is comprised of 15,100 deeded acres and 8,590 Federal BLM Lease acres. The estimated grazing capacity is 400 animal units yearlong The headquarters is located approximately one mile west of U.S. 285 comprised of one residence, bunkhouse, barns and corrals. The primary shipping pens are also located west of the highway with good road access. There is one set of pipe pens on the east side of the highway. 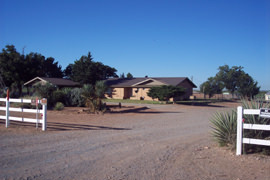 The deGanahl Ranch is located in southeastern New Mexico approximately 40 miles northwest of Roswell approximately eight miles north of New Mexico State Highway 246. The headquarters and shipping pens are accessible by Brown Lake Road, which is a county maintained roadway. The land status of the ranch is diversified to include 960 Deeded Acres, 4,095 Federal BLM Acres and 680 acres of New Mexico State Lease lands. 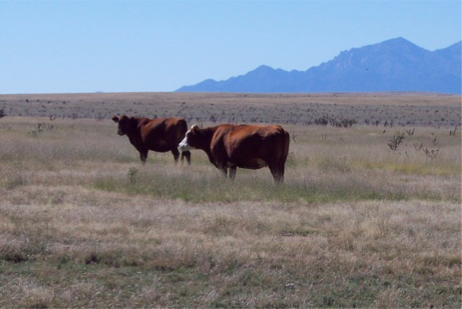 The total acreage supports a grazing capacity of approximately 164 animal units, yearlong as established by a Bureau of Land Management Section 3 grazing permit. The headquarters improvements are comprised of a residence, shop, feed barn and pens, all new.